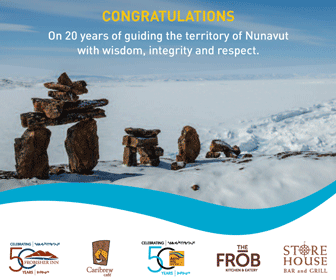 We’re celebrating Nunavut’s twentieth birthday by reviewing the territory’s successes and its challenges in areas ranging from music and the visual arts to the economy, the state of Inuktut and climate change. Some notable Nunavummiut are sharing with us what the territory means to them and the changes they’d like to see over the next 20 years. On March 30, 1999, I was in Iqaluit with my father, Charlie Lyall, who at the time was the president of the Kitikmeot Corporation (an Inuit birthright company under the Kitikmeot Inuit Association umbrella). That day, we got to tour our nearly complete legislative building and we were immediately impressed by it, with its sealskin-covered chairs and benches, its circular shape meant to represent an iglu, and its symbolic mace made of a narwhal tusk, carved stone and precious gems. I didn’t fully grasp the importance of this moment, but on that day, we were present for the official unveiling of the mace of the Nunavut Legislative Assembly. We were there to see and support the first members of the Nunavut Legislative Assembly. 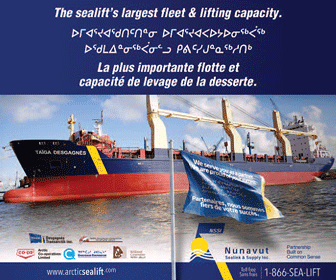 This was a significant moment in Inuit history. 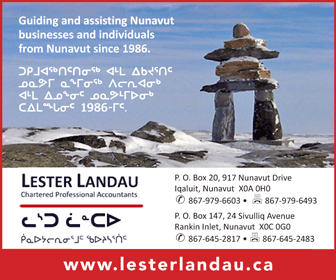 The implementation of the Nunavut Land Claims Agreement Act and the Nunavut Act meant that Inuit in Nunavut were moving toward sovereignty. Thanks to many negotiators, Inuit would now have power over their land, water, harvesting rights and culture. 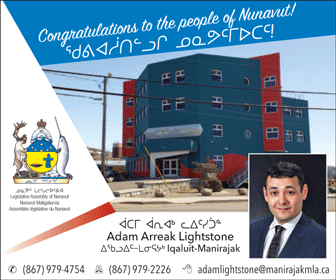 For me, the first Nunavut legislature signifies Inuit independence and self-determination. 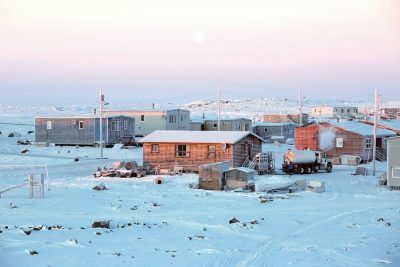 Inuit in Nunavut have endured being relocated from the land and their nomadic lifestyle to settlements in Canada’s fight to claim the Arctic and its resources. 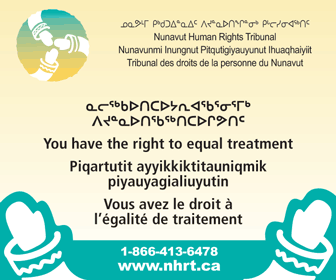 In addition, Inuit faced the pain of their children being taken away for medical purposes (in some cases for years at a time or never to return) and being sent to residential schools where they did not have their family structure, emotional support or the right to speak in their own language. Along with these physical and emotional challenges, Inuit also had to deal with resource development that significantly altered their harvesting activities, which are still essential to the survival of Inuit culture. Fast forward to 2019 and Inuit face issues including racism and a misperception of our culture, housing shortages and homelessness, food insecurity, the challenges of holding onto our culture and language, the decline of the caribou, along with amplified climate change and its impacts. 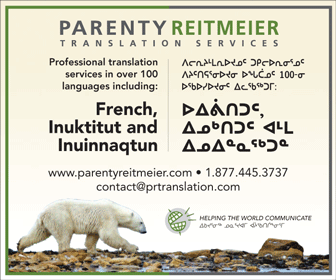 Yet, when I think of Inuit and the culture of Nunavut, I think of resiliency. Even with the highest rates of suicide and high school dropouts and one of the highest rates of incarceration per capita in Canada, Inuit and Nunavut continue to thrive. 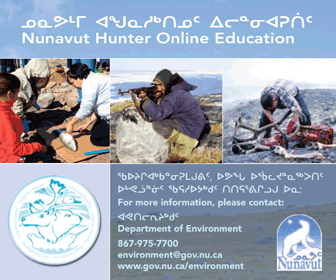 Every community in Nunavut has its own remarkable features whether it is dialectal differences in Inuktitut or Inuinnaqtun, geographical variation and even differences within our culture regarding how we conduct our harvesting activities by seasons and needs. One issue that is comparable across our territory is being able to access basic necessities of life such as food and housing. These are not new topics; we are still struggling. The way we can ensure that necessities are available, not just by community or territory/province but for all of Canada, is to invest in our rural and remote regions. 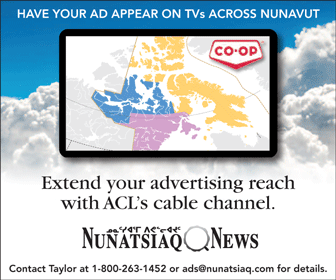 Imagine going into a smaller community like Taloyoak, for example, which is a non-decentralized community (most Nunavut communities are non-decentralized, meaning that government jobs have not been distributed there) of about 1,000 people. This is my hometown. Life is hard here. The majority of Taloyoak residents rely on social assistance from the government. That’s generally about $600 a month. It is guaranteed you are making that money stretch for a family of three or more. Even if you are purchasing basic items like bread, milk, butter and eggs, that’s already almost $50 in Taloyoak, so you can imagine how fast that money runs out. 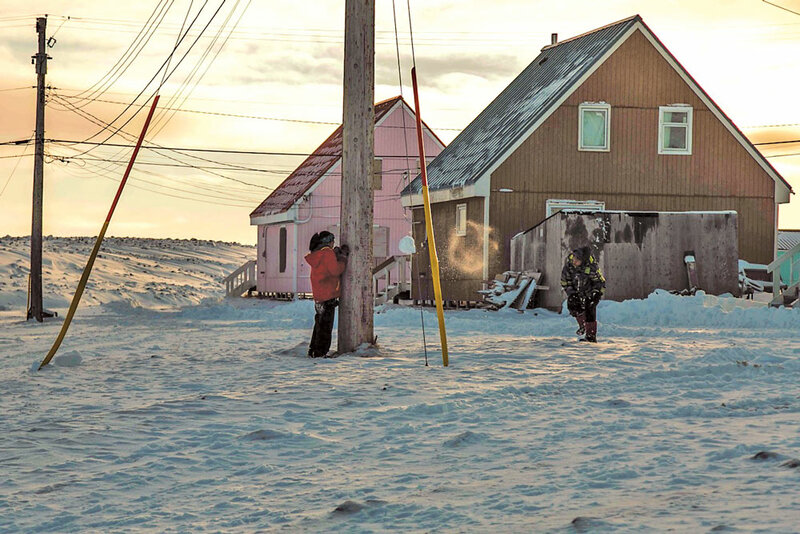 The community runs on trucked water and sewage services, like many places in Nunavut. If you live in a community with trucked services, you know what it’s like to run out of water (sometimes for more than just a day) or experience sewage overflowing in your “backyard.” People turn into good water preservers because of this. When it comes to applying for a job here, you have a very limited set of options. Your choices for employment include a job with the hamlet (usually lower level), a job at the Co-op or Northern stores, or if you’re lucky you qualify for a government job. There are also only a couple of small businesses that exist in Taloyoak, and those that have survived over time really make a difference in the community. We don’t have licensed plumbers, or electricians, so if you own your home, you end up having to get creative with what you can do. When I say we need investment in our smaller rural and remote communities in Canada, I’m not kidding. If you have never been to a non-decentralized community, it’s a rude awakening, because if you come from a city or even our capital of Iqaluit, you are accustomed to what you think is basic access to a lot of things. It is only then that outsiders realize that there is still a serious need. We need to pay attention to and focus on improving the quality of life in these communities. They matter, and we need to show that by taking action. When I think back to that time that my father and I were in Iqaluit, it was a time of hope for so many of us. We have come a long way and there is still a distance to go. We still have our culture and most importantly we are still trying. 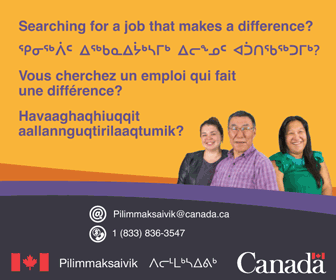 Megan Pizzo Lyall is the manager of operations with Atuqtuarvik Corporation and resides in Rankin Inlet, Nunavut. 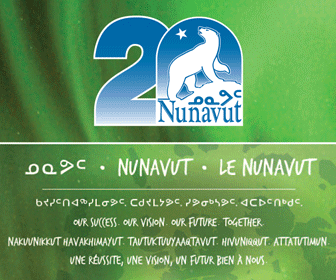 Her vision for Inuit includes the same access to employment and services as the rest of Canada and prosperity in Inuit languages and culture. There are also other places to work: the school, the health centre. People could choose to access education opportunities to be employable in those locations, in very good paying positions if they get qualifications. The author states “Even with the highest rates of suicide and high school dropouts and one of the highest rates of incarceration per capita in Canada, Inuit and Nunavut continue to thrive.” How are you defining “thrive”? If you mean an ever growing population, that’s not thriving, that is unnecessary growth fed by government support and by financially rewarding people for having kids that they can’t support on their own. Nunavut is not thriving, and you can’t make things better by pretending some new government program can come and make these remote communities viable, with their ever-growing populations. The argument made here is admirable, and I agree that any rural strategy Ottawa might draw up, if they ever should actually recognize Canada extends beyond the big three cities, must absolutely include our remote northern settlements. I recognize that I am a Qallunaat and the added fact that I’m not even living in Nunavut might further invalidate my perspective, but there must absolutely be a greater appreciation in the south regarding Canada’s North. Ottawa has continuously neglected the north in favor of rewarding vote rich Toronto, Montreal, and Vancouver, even to the detriment of Canada’s Atlantic provinces as well as the North, though the east has been served far better than the north. 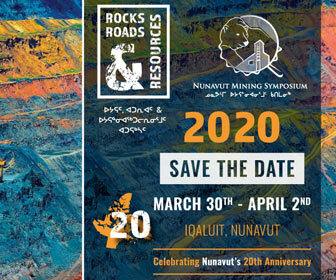 Canada needs to include Nunavummiut in every policy it drafts, as it should for every Northern Canadian; something Ottawa routinely ignores in favor of rewarding big businesses in the Windsor-Quebec City Corridor. But so long that we trust in the big tent parties, Canadians will continually recieve successive governments focused on votes over pragmatic solutions. Very good, having paid humility to the gods of identity politics you may now proceed to share your opinion. How progressive of you. Bravo! By the way, the notion that your opinion is invalid because of where you are from is a logical fallacy. 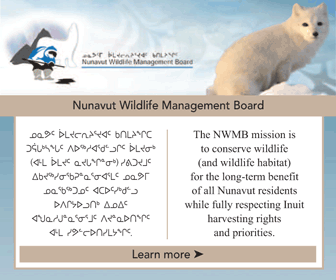 Is it time for Nunavut to examine and perhaps a gauranteimplemented annual income plan? There never will be enough “jobs” for everyone. So lets look at a new model. You know Bert, what a lot of people don’t realize about Mincome is, the income people received was equal to what they would get from welfare. The people involved were poorer than welfare recipients. It’s a huge mistake to assume a minimum income will bring you out of poverty. Daaaaaaave. Stop it. You really don’t grasp concepts well at all. This isn’t the first time you’ve made a comment about Guaranteed Minimum Income, and you’re wrong (again). 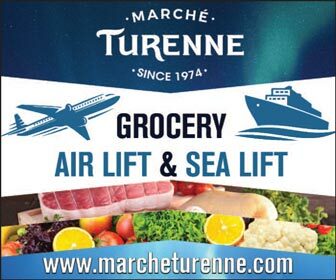 You’re likely referring to the Ontario Pilot (again). First of all, the difference between the basic income and welfare is that, in principal, the basic income would not be clawed back, whereas welfare is. The Ontario pilot did include some clawback, but most theories of it do not. And second of all, you could set a basic income at whatever you want. You could set it at $100,000 per year if you want. That’s not a good idea, at all, but it just goes to show that you’re more likely to grasp at straws than you are to grasp concepts. You didn’t even open the link (I know, it’s a lot of work to open a link). And you don’t even know what Mincome is….. but I am wrong. Funny. I would suggest you either open the link or Google Mincome (then you will get I am not talking about Ontario at all). Then re read what I said a couple of times, and you might…… grasp the concept. It even clearly says in Bert’s post that he is talking about Manitoba……………. and I don’t grasp concepts. Man…….. you’re a hoot. You didn’t open the link or read the whole post………. funny. When Nunavut was first created too many people had this idea that “everything” was going to change over night but of course that was not going to happen. Inuit did not take over everything because they were not ready to do that -the process was more gradual and still continues Change takes time and like anything in life it takes lot of work. 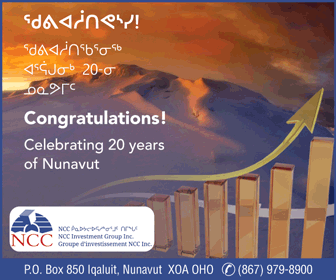 We still have a lot of challenges to face but we have also taken a lot of steps forward….more grade 12 graduates, more Inuit moving into higher level jobs including managerial/supervisory roles, politics, business, etc…. but as the author of this article points out many of the smaller communities have become have nots. Larger communities like Iqaluit, Rankin and Cambridge Bay have seen a huge amount of growth and economic prosperity whereas the smaller communities remain relatively unchanged with the exception of the odd housing unit being constructed we are not really seeing any actual economic growth. 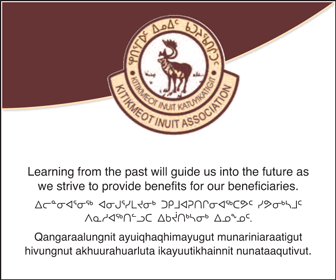 There are Inuit working in Hamlet offices, schools, nursing stations, etc… in positions which use to be dominated by Qalunaq but we are not seeing any actual economic growth which could make the smaller communities more self-sustaining.The majority of the population continue to rely on Social Assistance, Child Tax etc… to carve out an existence for their family and themselves. For some it is thriving but for others it is only surviving. It is easy to understand when a privileged person writes about the struggles of “common” Nunavummiut. The Hope’s and dreams of Nunavut were snatched up by the “privileged” Inuit. 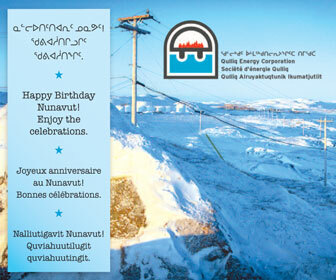 20 years of Nunavut has been hell for a lot of Nunavummiut. The fact that I am no longer in Nunavut speaks for itself. Based on many of your statements, Ms. Lyall, it seems you have a slightly misinformed reality of life and conditions in Nunavut communities. 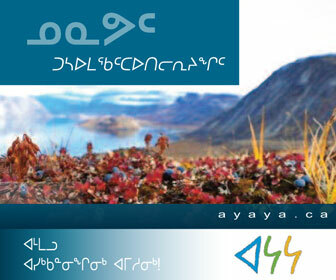 Tell us about some of AC’s success stories in ‘rural’ Nunavut, so we can examine that side of the story. I think you nailed it Tommy.